Abdur Razzaq Cheema, the police chief in Quetta, Baluchistan’s provincial capital, says the explosion took place when near the city’s eastern bypass. It is the first violence on election day in Pakistan. Ahead of Wednesday’s balloting, over 170 people — including three candidates running in the elections — were killed in suicide bombings in southwestern Baluchistan and northwestern Khyber Pakhtunkhwa provinces. Police officer Khalid Hamdani says it’s unclear what triggered the shootout between a group of supporters of the secular Awami National Party, which has often bbeen targeted by the Taliban, and the Tehrik-e-Insaf led by former cricket star Imran Khan, a center-right party. A hard-line Pakistani cleric who heads an alliance of religious parties and the country’s parliament speaker have cast their ballots in the general elections underway in Pakistan. His Muttahida Majlis-e-Amal is a potential threat to opposition leader, former cricket star Imran Khan’s party in northwestern Khyber Pakhtunkhwa province. Khan’s party has ruled the province for the last five years. 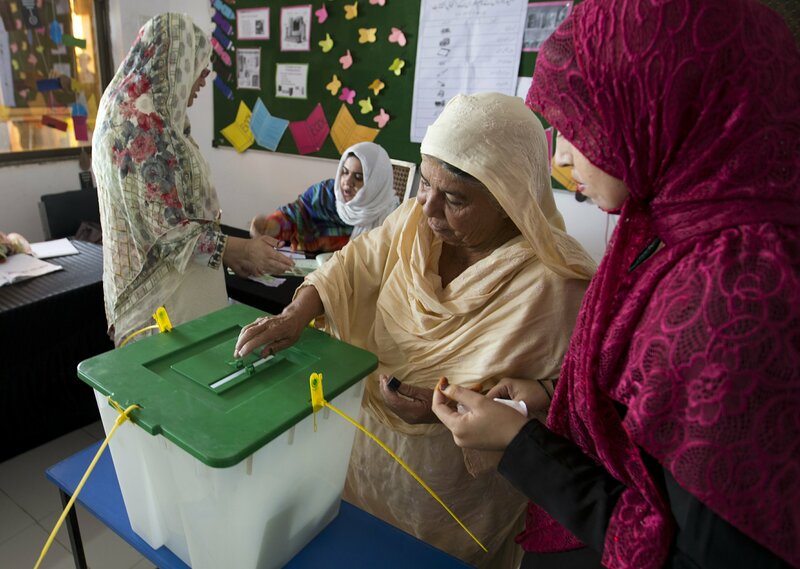 Pakistanis began voting in a historic third straight election ending a campaign marred by widespread allegations of manipulation that local and international rights group say imperils the country’s wobbly transition to democratic rule.